Every horse is different. 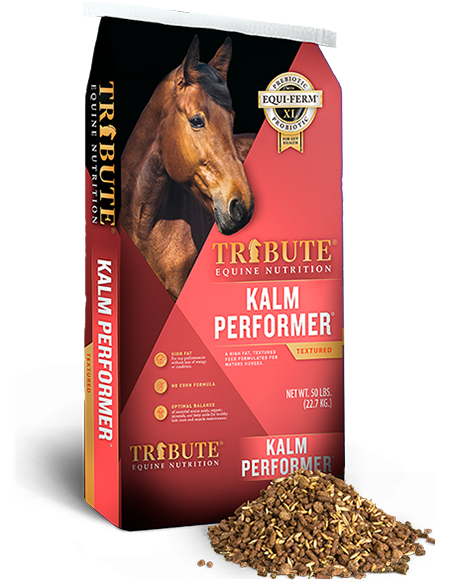 Its nutritional requirements are affected by its age, breed, discipline (pleasure, racing, jumping, dressage etc.) and individual characteristics (“hard” or “easy” keepers). In today’s large boarding and/or training operations, the individual horse’s needs are often sacrificed in the name of convenience and/or cost. Outside of watering the horses, their nutrition is the next most important service provided by the facility – it is not an area to take shortcuts!!! 1. Base the feeding program on QUALITY hay or forage. Feeding high quality hay is one of the most important steps in minimizing cost in a horse facility. Even at $6.00/bale, the hay will only cost about $0.12/pound. Compare that to a cheap feed at $9.00/50# bag, that is $0.18/pound!! When feeding a high quality hay, one will end up feeding LESS grain or concentrate due to the nutrients supplied by that type of forage. 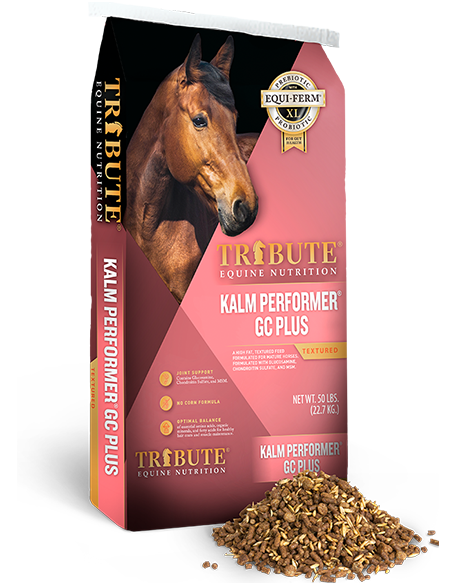 Plus, horses are designed to eat primarily forage and will results in fewer cases of colic and founder. Teach the barn staff to recognize good and poor quality hay and not to feed it if it is questionable. 2. Feed a QUALITY concentrate (if needed) balanced for forage fed. The concentrate needed when feeding straight alfalfa hay will be TOTALLY DIFFERENT than the one needed when feeding grass or mixed hay. 3. In most boarding facilities, horses do not get a lot of turnout, thus need fewer calories. In addition, the lack of free exercise can lead to hyperactivity. To minimize this, feeding a low sugar/starch (less than 20% sugar + starch) can make huge strides in calming horses down. In general, there is an inverse relationship between price and the sugar/starch content of feeds. This means the lower the price, the higher the sugar/starch (because corn and molasses are relatively cheap). Also, when easy-keepers are only fed a minimal amount of concentrate (“grain”) make sure the concentrate is designed to be fed at 1-2 pounds/day (Tribute ESSENTIAL K, for instance!). 4. ALWAYS have CLEAN, FRESH, ACCEPTABLE WATER available to the horses (unless the horse is hot from work). In the winter, water below 40 degrees F. may reduce the horse’s intake. Horses will drink a minimum of 10-12 gallons of water a day – more if working and MUCH more if lactating. If a horse’s water bucket is empty at feeding time – HANG ANOTHER BUCKET FOR HIM!! 5. 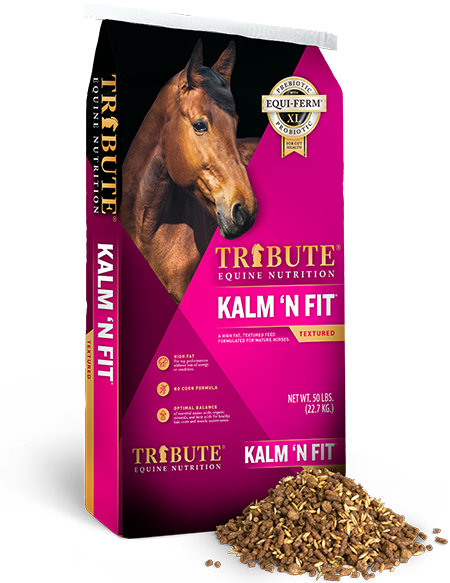 Have a free-choice vitamin/mineral supplement balanced for the forage you are feeding, and a trace mineral salt always available to the horses. If you offer free choice minerals to horses that have not had them available, they may consume more than normal because it is new. Once the novelty wears off, consumption will be driven by the horse’s individual needs, his workload and possibly changes in the forage nutrient composition. A large portion of the many minerals consumed by the horse comes from the forage. 6. Feed at regular times during the day. 7. Feed AS OFTEN during the day as possible. Not more feed, just divide the total daily intake in to 3, 4 or 5 feedings, if possible. Of course, avoid feeding right before or after hard work. The horse’s digestive tract is designed to handle SMALL, FREQUENT feedings. When offered feed only once or twice a day, the horse’s tract can become overloaded and lead to colic, founder, diarrhea, insulin spikes (leading to insulin resistance) and other problems. More frequent feedings can also help to reduce stable vices like bolting feed, chewing wood and weaving, especially if turn out is limited or unavailable. 8. Provide free exercise (if facility is so designed). This is important to the soundness of the horse’s mind and limbs. The more the horses can be out, the better. Again, the nutritional program should be based on the hay or forage fed. Try to buy hay in large amounts and by the TON, not by the BALE (see table below), if storage space allows. 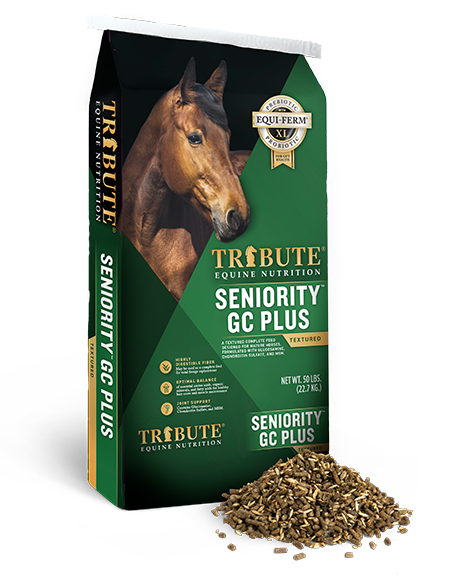 This is much less expensive in the long run and is conducive to using nutrient analysis of the hay to assure proper nutrition for all the horses in the barn. Most experts recommend keeping bulk hay in a barn separate from where the horses are stabled to minimize the risk of fire. Straight alfalfa hay will be too high in protein for most horses, and is difficult to balance for calcium (Ca) and phosphorous (P) for most horses over one year of age and those not lactating. The ideal Ca:P ratio for horses is 1.5:1, and alfalfa hay can have a ratio near 6:1 or higher. Most commercial concentrates and mineral mixes do not compensate for this imbalance. Straight alfalfa is also expensive and more prone to mold than grass or mixed hay. Grass or mixed hay is easier to manage, less expensive and less prone to management issues than straight alfalfa. It is usually more reasonable in protein level and has a better Ca:P ratio. The bar graphs that follow depict the percent of the National Research Council (NRC) 2007 nutrient requirements for horses in light work that are met by grass hay and Tribute Essential K, as an example. The red line highlights the “100%” mark, where the NRC 2007 requirement is satisfied. The green portion of each bar shows the percent of each requirement the hay supplies, while the brown portion of the bar shows the percent of each requirement Tribute Essential K supplies. As you can see, the hay (green bars) meets or exceeds the NRC 2007 requirements for calories (DE), protein (CP) lysine (LYS), calcium (Ca) and phosphorous (P). The only nutrients in this example needing supplementation are copper (Cu), zinc (Zn) and selenium (Se). Meeting the horse’s caloric needs is quite simple and has an easy gauge – his body condition. There are no values for hay for vitamins A, D or E, because it is very expensive to analyze for them and levels in hay are quite variable. Again, green color is the best indication of vitamin A and E levels in forage, but we formulate to meet the entire requirement in the case poor hay must be fed. Horses should then be scored periodically, like once a month, to track changes in body condition. The calorie source in the diet should be adjusted up or down, depending on the desired direction of body condition – getting too thin = more calories; getting too fat = fewer calories. Weight tapes can also help manage the horse’s body weight. 1. Make sure every horse has acceptable water available at all times (unless hot from work). 2. Manage every horse as an individual. 3. Base nutritional program on the hay/forage fed. 4. Feed QUALITY forage and concentrates at the RECOMMENDED levels. 5. When horses have limited turnout and/or exercise, use LOW SUGAR/LOW STARCH concentrates to minimize hyperactivity and potential metabolic issues. 6. Have free choice vitamin/mineral supplement and trace mineralized salt available at all times. 7. Feed as often during the day as possible. 8. Provide as much free exercise as possible. 9. Make any changes to the feeding program slowly. 10. Understand the contribution of hay/forage in meeting the nutrient requirements of the horse. 11. 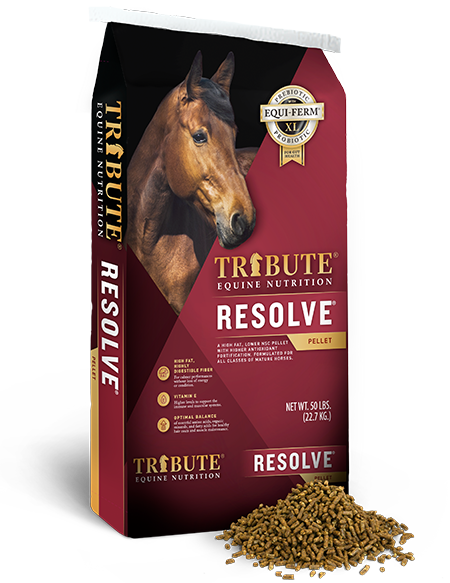 Use the appropriate ration balancer or well-designed concentrate to supply nutrients not provided by the hay/forage (mainly protein, vitamins and minerals). 12. Once the nutritional foundation (protein, vitamins and minerals) is laid, manage calories with as little sugar and starch as possible (i.e. higher fat concentrates). 1 Poor Animal extremely emaciated. Spinous processes, ribs, tailhead and hooks and pins projecting prominently. Bone structure of withers, shoulders and neck easily noticeable. No fatty tissues can be felt. 2 Very Thin Animal emaciated. Slight fat covering over base of spinous processes;transverse processes of lumbar vertebrae feel rounded. Spinous processes, ribs, tailhead and hooks and pins prominent. Withers, shoulders and neck structures faintly discernible. be easily identified. Hook bones appear rounded, but easily discernible. Withers, shoulders and neck accentuated. 4 Moderately Thin Negative crease along back. Faint outline of ribs discernible. Tailhead prominence depends on conformation, fat can be felt around it. Pin bones not discernible. Withers, shoulders and neck not obviously thin. over spinous processes. Shoulders and neck blend smoothly into body. 6 Moderately Fat May have slight crease down back. Fat over ribs feels fleshy-spongy. Fat around tailhead feels soft. Fat beginning to be deposited along the sides of the withers, behind the shoulder and along the side of the neck. along withers, behind shoulders and along the neck. 8 Fat Crease down back. Difficult to feel ribs. Fat around tailhead very soft. Area along withers filled with fat. Area behind shoulder filled with fat. Noticeable thickening of neck. Fat deposited along inner thighs. 9 Extremely Fat Obvious crease down back. Patchy fat appearing over ribs. Bulging fat around tailhead, along withers, behind shoulders and along neck. Fat along inner thighs may rub together. Flank filled with fat.